Eurodollar has rebounded from local level 38.2 and allowed me to open another sell order. 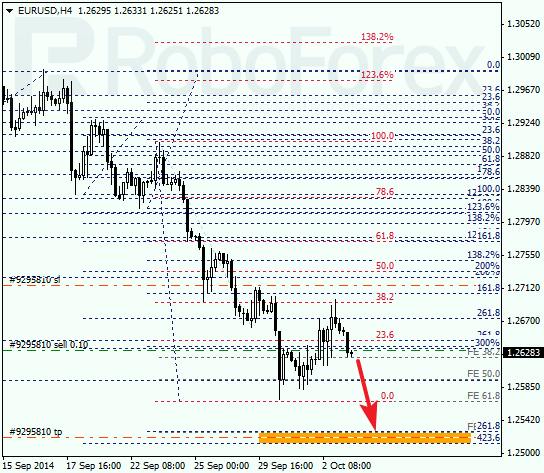 The target is still the group of lower fibo-levels at 1.2530 – 1.2515. Possibly, the price may reach a new low during Friday. In case of Franc, yesterday the price rebounded from correctional level of 23.6% again. 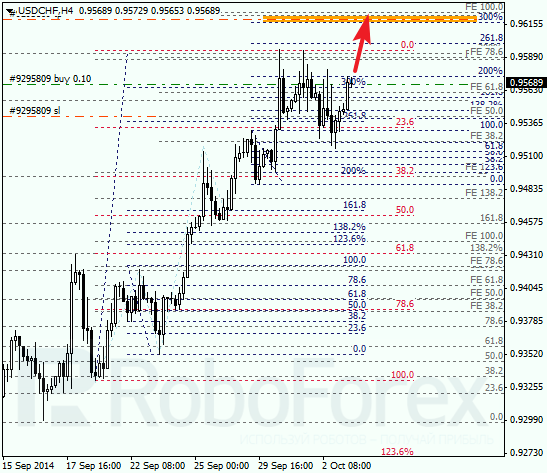 Possibly, the pair may reach the group of upper fibo-levels at 0.9615 – 0.9625 until the end of today’s trading session. If later the price rebounds from these levels, the market may start a new correction.